Top Fortune 1000 companies and leading global enterprises trust Stepes for super fast and accurate French language translation services today’s digital economy demands. Are you looking for a fast and professional French translation service that delivers the best linguistic quality and accuracy at affordable prices? Then look no further than Stepes–the language industry leader for next-gen, on-demand enterprise localization solutions. Powered by our large network of pre-approved, professional native French linguists in both France and Canada, we help global companies communicate with customers in French and Canadian French with confidence. Stepes’ innovative, AI-powered language management system transforms language translations onto a modern online platform, making business translations simpler, faster, and more cost effective. We provide certified French translation services for medical, financial, legal, manufacturing, technology, advertising, and retail industries. If you’re like many other companies, chances are your business has had to put up with subpar French translations that’re too slow and costly. After all, your international business success depends on quality language communication when and where your business need it regardless if your customers are in Paris, Toronto, or French speaking Belgium. However, finding good translation companies with the linguistic experience and track record that consistently produce high quality results can be a challenge, especially there’re so many translation agencies on the market and they all claim to be the best. This is why we’ve spent the time to compile the comprehensive Best Translation Services guide to help you sort through the myth. Stepes has greatly simplified professional French translation so you get your documents translated faster and better. Our easy to use online dashboard allows you to easily drag and drop your files to get an instant quote. Following your confirmation, translation starts immediately with our pre-approved French native translators purposely trained in your specialized industry fields. Upon completion, you can download the translated documents with the click of a button. Stepes stores all of your French translation assets such as terminology glossary, translation memory, and other language references on the cloud so you can leverage them for future projects easily. Stepes provides the fastest professional French translation services on the market, period. We’re able to achieve unrivaled speed with our unique, patented mobile translation technology that instantly notifies our French linguists of your translation requests anywhere and anytime. Stepes is also the first translation company to enable language translation on all platforms including desktop and mobile devices. No other translation agencies come close to Stepes in delivering fast high-quality French language services. Stepes supports translating between English and French as well as Chinese-French, German-French, Spanish-French, and 100+ other language pairs. We employ the best native French linguists with required subject matter expertise to work on all your document translation projects for the highest level of linguistic quality. For excellent French translation services, look no further than Stepes. We have one of the largest networks of over 5,000 certified linguists delivering first-class French translation solutions on time and on budget. Stepes only employs professional native French translators with industry subject matter expertise to work on all your translation projects. We’re the first within the language industry to allow you, the customer, to rate our translator’s quality on each project. Linguists you consistently rate 5 stars will automatically become a dedicated translator on your MyTranslator team. As the fastest growing French translation company globally, Stepes offers expert French translation and localization solutions to global enterprises in a variety of industries including IT, manufacturing, medical, aerospace, financial, fashion, travel, and legal. In addition to supporting a variety of documents, we also translate all file formats such as Microsoft Word, Adobe InDesign, Microsoft Publisher, PowerPoint, QuarkXPress, or PDF documents. Modern French translation services must be agile, on-demand, and available 24/7 in order to help multinational companies achieve business success in international markets. Global enterprises must have their product manuals, marketing materials, websites, financial and legal documents professionally translated into French quickly with high-quality in order to gain a competitive advantage. The good news is Stepes is ready to help. Stepes is a modern translation company perfectly designed for the digital age that allows businesses to get all their content translated fast and professionally. 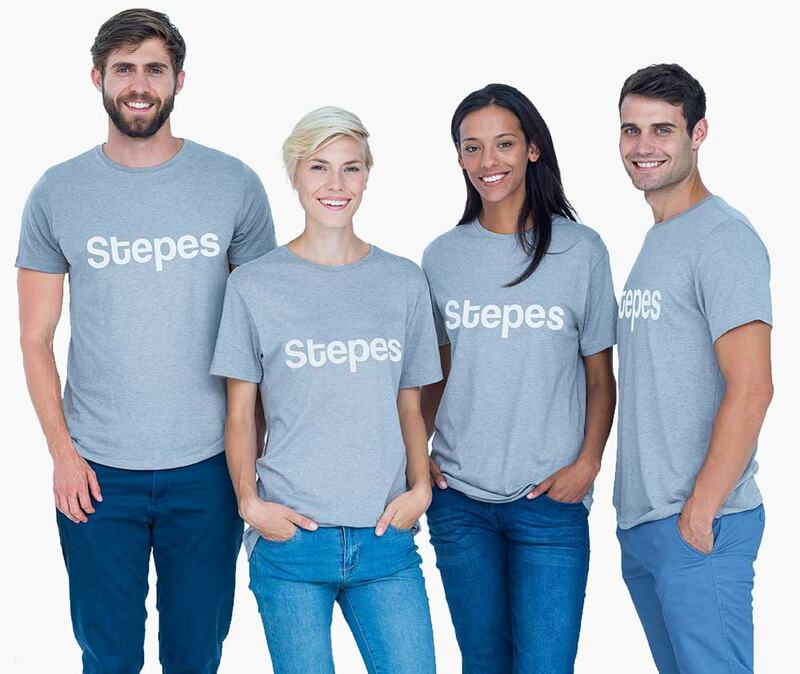 Stepes is the first company to introduce on-demand, agile, just-in-time, and real time human translation solutions for the language industry. We make good customer service our number one priority. Stepes is the first translation agency to allow our customers to rate our linguists in an Uber like model. This transparent process allows our translators to take pride in providing the best quality translation work while at the same ensuring the best customer care. Stepes is the first company to apply AI to the entire professional translation process to achieve the best translation automation that delivers French translation results faster, better, and more cost effectively. Simply upload your files and specify the target languages, our intelligent translation management system will complete the rest, fast and hassle free. The fact you are looking at this page speaks volume about today’s customer expectations. When it comes to language translation services, the old offline model is too slow and costly. With Stepes, it’s easy to translate your content into French with our modern online platform with the click of a button. Simply upload you documents, track translation progress, and download your translated content anywhere and around the clock. Need Fast French Translation Service?